Geo-Environmental undertook an investigation, on behalf of Fuller, Smith and Turner P.L.C. for the proposed mixed use development of a former brewery site in Horndean. The site extended over three land parcels, each with their own unique history. In addition to general brewery operations, former site uses included meat processing, vehicle re-fuelling (brewery fleet), coal powered boilers (latterly gas powered) and blacksmith/forge works. In addition, the main brewery building included a cellar complex which formerly housed beer vats and a groundwater abstraction well extending to depth in the underlying Upper Chalk (major aquifer). The investigations included a detailed desk study assessment followed by an intrusive investigation. At the time of the intrusive investigation, the site remained operational and thus careful planning and liaison with Client management and site personnel was required. 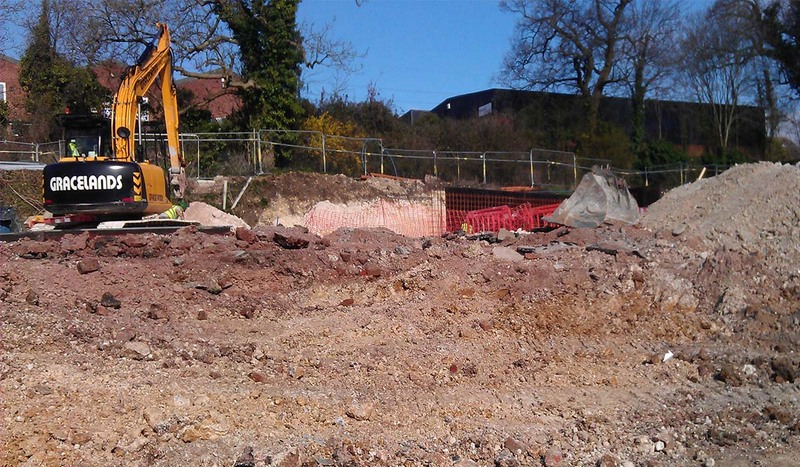 Geo-Environmental worked closely with the Client to provide a phased assessment to support the disposal of the site for redevelopment. Geo-Environmental was able to provide specific expertise in relation to local geological hazards, their identification and implications for development. The geotechnical and contamination assessments required a detailed understanding of the site’s history, the potential impact on land quality associated with the complex historic use and former land uses in proximity to the site. Given the previous industrial usage of the site, it was important to scope that identified any parts of the site that could constitute a contamination risk and thoroughly investigate these. Geo-Environmental worked closely with Fuller, Smith and Turner plc to deliver a professional, tailored and bespoke investigation to meet their specific requirements on this project. Geo-Environmental was able to present the assessment and a range of recommendations in a clear and concise manner to facilitate understanding and decision making by the Client, designers, developer and regulators.